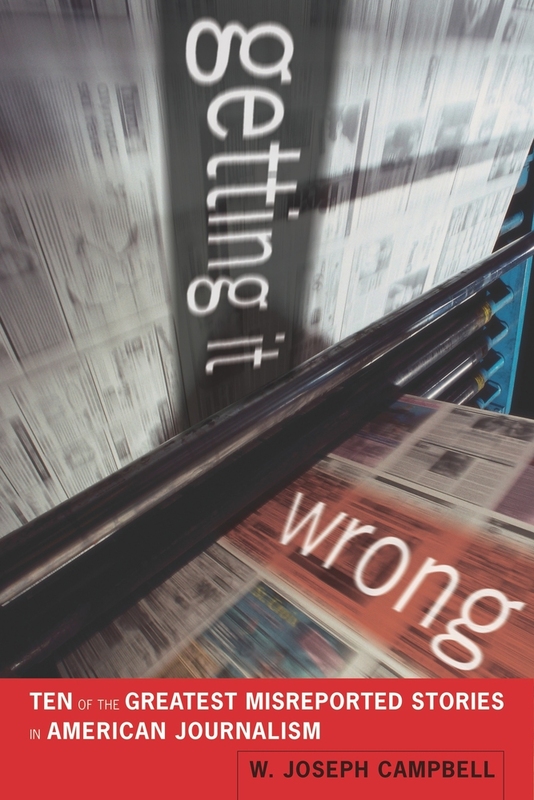 Media-driven myths, the subject of my soon-to-be-published book, Getting It Wrong, are prominent tales of doubtful authenticity—false, dubious, or improbable stories about the news media that masquerade as factual. The myths addressed and debunked in the book include the notion that two intrepid reporters for the Washington Post took down Richard Nixon’s corrupt presidency, that Edward R. Murrow’s See It Now television program brought an end to Senator Joseph McCarthy’s communists-in-government witch-hunt, and that newspaper magnate William Randolph Hearst vowed to “furnish the war” with Spain at the end of the 19th century. It’s a question that, somewhat to my surprise, arises not infrequently. What’s more, the news media these days are too splintered and diverse—print, broadcast, cable, satellite, online—to exert much in the way of collective and sustained influence on policymakers or media audiences. This post first appeared at the University of California Press blog.